For the past thirteen years, I have worked as a media entrepreneur and producer, serving the luxury industry in Paris, Shanghai and New York City, producing luxury digital publications for the very affluent Chinese global traveler. 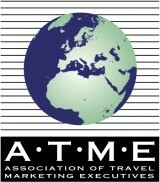 I have managed international teams of marketers, editors, bloggers, photographers and community managers to build successful communications campaigns in more than twenty countries for a variety of clients, private and governmental organizations, willing to attract High Net Worth Chinese travelers to their country, region or hotel. I have met outstanding individuals in the luxury goods and luxury travel industry, incredibly skilled artisans who are making beautiful objects with their hands and heart, innovative entrepreneurs who are breaking the rules and reinventing luxury, and countless hotel executives who warmly welcome their guests in the new generation of boutique hotels. 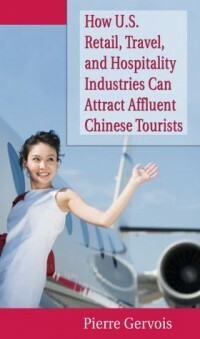 I have learned to understand the new generation of affluent Chinese outbound tourists, what they really wanted (vs what the travel industry assumed they want to do), and how they felt routinely disrespected in Europe or in America, dismissed as second-class travelers by the luxury travel and hospitality industry. I published several luxury lifestyle and travel magazines in Shanghai and New York City (including the acclaimed STC magazine) and featured more than five hundred luxury lifestyle stories, working with very talented journalists, and in particular Elaine Ke, Managing Editor of the STC magazine. I have given speeches and lectures about international luxury travel marketing at Universities and at corporate events and always felt grateful for the opportunity to exchange ideas with students and fellow professionals. It has been a rich professional and personal experience. Thank you to all of the wonderful people I have met over these years, from the clients who trusted me to the great individuals who composed my team, and without whom I would not have achieved such successes. I have lived in New York City for the past five years, and now consider it my true hometown. NYC is by far my favorite city in the World, for one reason: the entire world meets here, in this city created and run by immigrants, bringing their ideas, cultures, languages and foods in this happy melting pot. 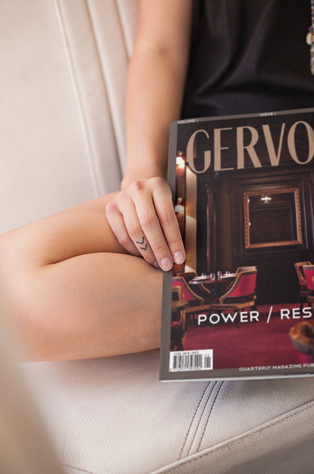 As the Founder and Publisher of Gervois magazine, I have seen wealthy individuals buying very expensive jewelry, watches, apartments, as a result of the marketing campaigns my company has created and it’s a good thing: that means more jobs in the jewelry, watchmaking, retail, and real estate, and potentially more money for philanthropic causes. I have also seen hard working Americans with not enough money to feed their families, dads and moms without a job having a hard time to come back home and face their children, individuals discriminated for their race, gender or sexual orientation, and courageous immigrants -from China and all over the World- struggling to fully embrace the American dream. I know we are, as business professionals and entrepreneurs, supposed to remove our emotions out of the equation and always think in terms of return on investment, business credibility, and project an emotionless and politically correct image of ourselves. This is specially true in the luxury industry where talking about social issues, hunger, poverty or racial discrimination is largely taboo. I cannot change the World alone, and there are in New York City hundreds of very talented and very experienced philanthropists, activists, social entrepreneurs and dedicated elected officials. As a privileged media entrepreneur fully conscious of my privilege, I decided that the best course of action for me, although modest and certainly limited in scope, was to help to create awareness about issues that really matter to me. One year ago, our production company launched an indie, experimental YouTube channel Legit News based out of our Brooklyn studio. The first program we created was named The Face of America, an interview series. Since October 2017, I had the pleasure to interview outstanding individuals from diverse backgrounds, who came to our recording studio to tell their own stories and share with us how they were working to make America a better place, one small step at a time. We have explored multiple aspects of American society: social discriminations, race relations, LGBTQ issues, 2nd amendment, poverty, religious issues and women’s empowerment. This interview series has changed me profoundly. What I never told to the first persons I have interviewed is that I have no formal training in hard news journalism, and no experience in interviewing people. I was really scared when the camera was rolling and I had to conduct the interview. I was also ashamed of my strong foreign accent, and having sometimes to repeat questions as they were formulated in my imperfect English. (Most of my English vocabulary revolves around the luxury world, and I’m poorly linguistically equipped to talk about complex social issues). I want to thank all the persons I have interviewed. They opened their heart, trusted me, and frequently went well beyond the context of a formal ten minutes interview. I felt sometimes I was not supposed to witness the incredibly intimate stories they were sharing with me, drifting away from the main topic of the interview. I remain a proud media entrepreneur working in the luxury industry. And I’m even prouder of sharing inspiring stories in The Face of America.